It is an intriguing book. At first I debated about posting it but decided it might be a useful resource for children with vivid imaginations. 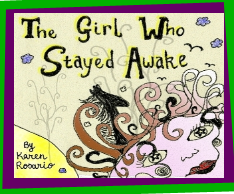 The book may not be a bedtime story ,yet certainly could lead to interesting discussions with tweens and teens.